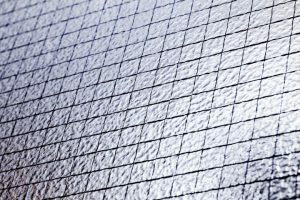 After an appeal for help we recently donated 6mm Makrolon twinwall polycarbonate to the local Birchwood Fire Station. 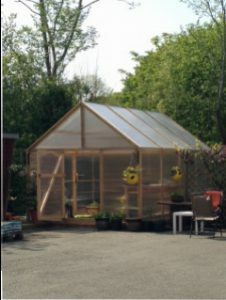 They wanted to build a greenhouse in the Community Garden they are creating in spare land adjacent to their buildings. 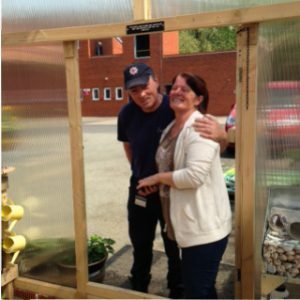 Volunteers at the Fire Station, Craig Frost and his partner Pat Jones, have worked tirelessly in constructing the garden, all of it funded by donations from local companies. 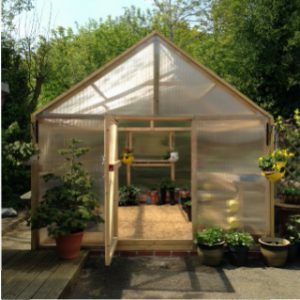 Craig designed and hand-built the 14′ x 11′ (4.3m x 3.4m) greenhouse himself, using a wooden frame to create an airy space with a 14′ apex. The garden is designed to provide the fire fighters with a relaxing, outdoor space for them to unwind in after undertaking some of their more traumatic duties. In addition, it will be well used by local schools, cub scouts, cadets and other neighbourhood organisations, enabling them to learn about growing and nurturing seeds and plants. The fire fighters already have good relationships with these organisations, teaching them about fire safety. The garden includes raised beds where vegetables and flowers can be planted, making gardening accessible for all. Craig has also developed a meandering path through a wooded area that Pat is busy planting up with flowering plants – all donated, of course. Craig and Pat are keen to spread the word that the garden is available for anyone to visit during the day. The Fire Station is very near Birchwood shopping centre, so they hope that the Community Garden will become a quiet and peaceful stop-off haven for you to visit en-route to do your shopping. Do call in, say hello to them and don’t forget to admire their novel hanging baskets, made from old fire helmets! 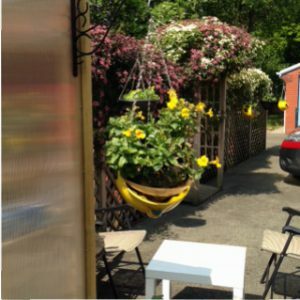 Just love the fire helmet hanging baskets! 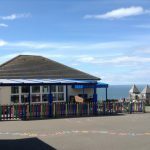 The new canopy we recently installed at St Mary’s Catholic Primary School in Whitehaven has provided their nursery children with an additional 32 square metres of covered outdoor learning and playing space. Powder coated in RAL 5010 Matt Blue, the aluminium frame has a roof glazed with our Multi-Link-Panels NF fitted with 25mm opal multiwall polycarbonate glazing. The NF indicates that these panels pass the recommended drop test, ACR[M]001:2014, achieving a Non-Fragile designation. 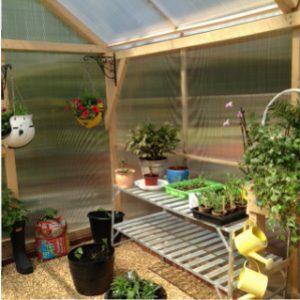 The polycarbonate glazing incorporates a special coating that prevents the passage of UV in sunlight, so it will help to give protection to those underneath. 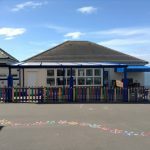 A further safety feature that the staff selected for their canopy was padded protectors round each of the three front posts that support the roof. 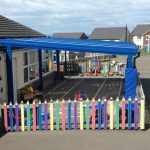 Manufactured from foam and covered with PVC they are fitted with hook and loop closing strips so the school caretaker can remove these easily if required during school holiday periods. After starting to use their finished canopy the school team also ordered other protectors for the rear cranked wall mounted posts. Before the manufactured frame was powder coated we undertook a dry-run assembly in the factory. This is part of our standard procedure on a fabricated structure as it helps ensure our in-house DRB checked installers have trouble-free installation when they arrive to fit it on site. 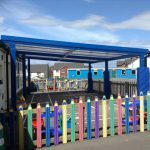 Our designers chose a free-standing canopy for St Mary’s as the single storey building was not suitable to accommodate a lean-to shape. Due to the strong prevailing winds they also included a ridge flashing detail so that driving rain would not result in water ingress. 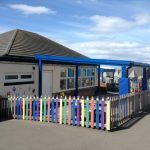 Being a one-stop shop for designing, manufacturing and installing such outdoor structures we are proud to offer a seamless service to any school or other education establishment looking for a canopy or walkway. We are really pleased that the staff at St Mary’s are delighted with this latest addition to their school and we know they are planning to use it for all sorts of fun and healthy outdoor learning/playing experiences for their children. Hear Vicky Evans explaining why, after ten years of no presence at exhibitions, she chose to exhibit at Materials 2017.